U2 brought more than inspiring rock ‘n’ roll to Infinite Energy Arena on Monday night. The band also set the record for the highest-grossing event in the arena’s history (which had actually just been established with the May 11 Justin Timberlake show at the venue). 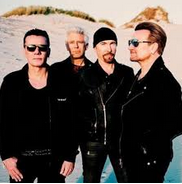 More than 12,000 people attended the Live Nation-promoted Memorial Day concert – U2’s first visit to Atlanta since 2009 – played in one of the most intimate venues on their “Experience + Innocence” tour.